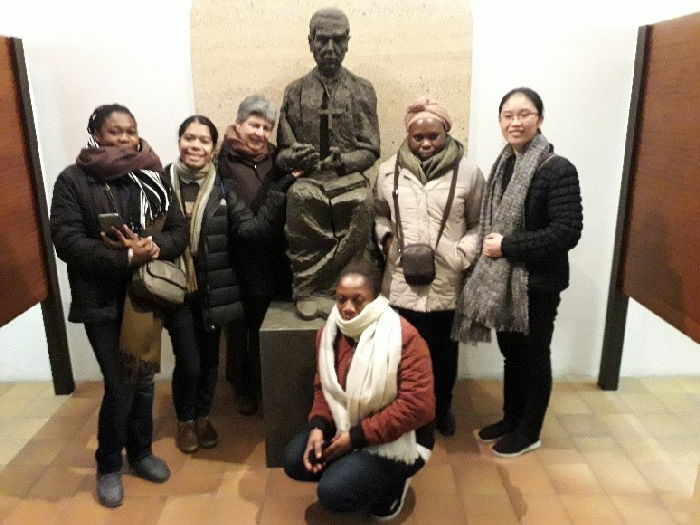 On January 25, 2019, six Claretian missionaries Sisters had the privilege of visiting the Mother House of the Claretian Missionaries in Vic. 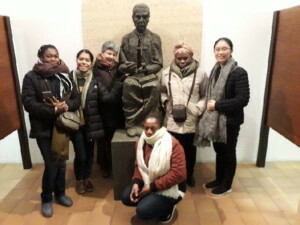 There were four junior sisters of ours from Indonesia, Vietnam and the Democratic Republic of Congo; a perpetual professed of this latter country and the General Prefect of Formation. The missionaries welcomed us warmly. Fr. Josep Rovira showed us round the places where Claret had been in the city of Vic. Fr. Placide Sumbula presided over the Eucharist in the Crypt-Sepulchre and guided us through the museum. We were very excited to see the belongings of our Founder; we found plenty of life. Then, Fr. 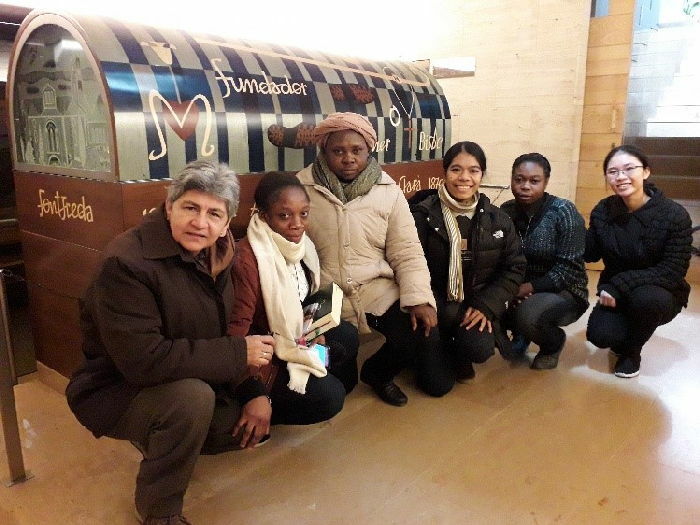 Carlos Sánchez accompanied us on the tour of the facilities of the Claretian Spirituality Center (CESC). It was a great blessing for each of us to live this experience. May the missionary spirit of Fr. Claret continue to strengthen our faith, nourishing our hope and love to proclaim the Gospel as Claretian Missionaries. Thank you! Srs. Amilbia, Aimerance, Bienvenue, Yuli, Lilian y Hoan, RMI.